Recently my mom told me about a trip she took to New Orleans about 35 years ago. She still remembers a broiled grapefruit that was served to her. She thought it was so elegant. I had never heard of such a thing, but the more I thought about it, it made complete sense. 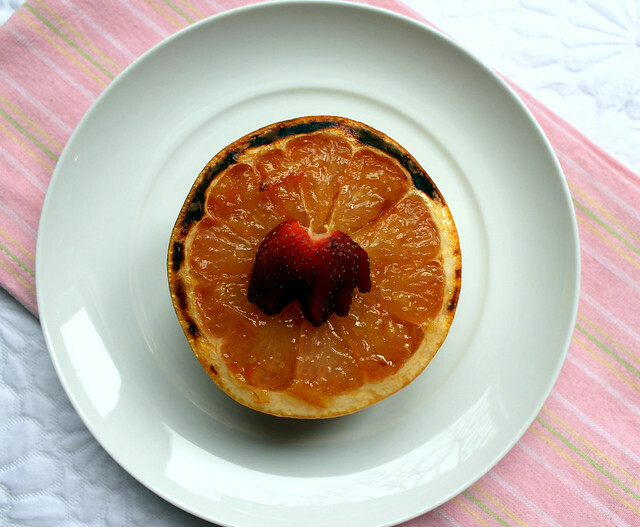 Grapefruits are great but need a little bit of sweetness added, why not brulee the heck out of it? Crunchy sugary topping is good. I mixed a bit of sweet orange marmalade and a little brown sugar and spread it across the grapefruit halves. After a few minutes under the broiler it was bubbly and beautiful. More importantly, it tasted fantastic. I can’t wait to serve this for a brunch. Wouldn’t it look so pretty on a brunch plate or buffet? So you know what it is not so fancy? Squeezing the grapefruit with your hands into a juice glass so you can enjoy every last bit of the sweetened juice. It needs to be done because that might have been my favorite part. Preheat the broiler. Line an edged baking sheet with foil. In a small bowl combine the marmalade and brown sugar, stir to combine. Trim a small amount off of the ends of the grapefruit so it will sit still. 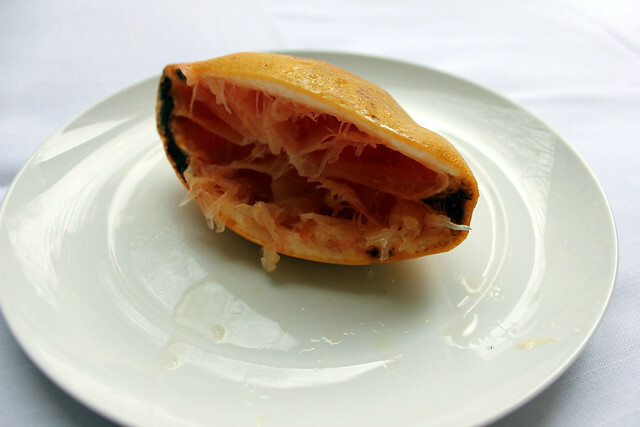 Cut the grapefruit in half and fish out the seeds. 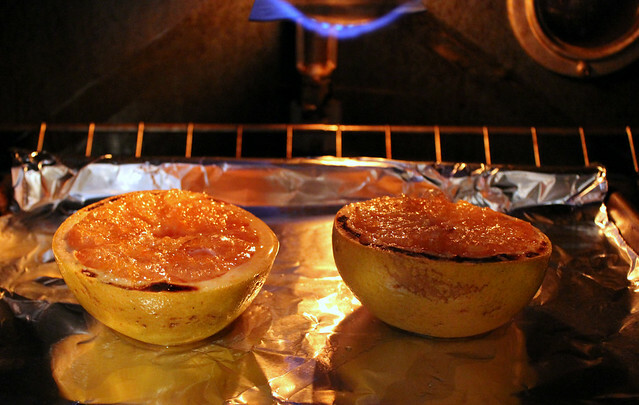 Spread the marmalade mixture over the tops of the grapefruit halves. Place the pan under the broiler and heat until the sugar and marmalade has caramelized. Be sure to watch because it happens fast.